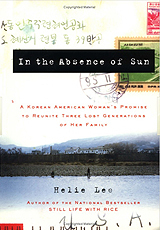 Helie Lee is the author of the bestseller Still Life With Rice (Scribner 1996), and In The Absence of Sun (Harmony Books 2002), memoirs in which she chronicles her family’s experience in war-torn Korea from the 1930s to 1997. In The Absence of Sun specifically details her risky attempt to rescue her uncle from North Korea. Inspired by her courageous story, Cosmopolitan Magazine selected Lee as a “Freedom Fighter” out of thousands of women nominated for their "1999 Fun Fearless Female" competition. 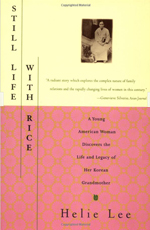 Born in Seoul, Korea, Lee’s family immigrated to America when she was four. 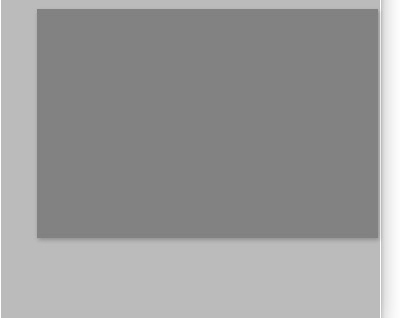 She graduated from UCLA with a degree in Political Science. After college, she sojourned back to her birth country to rediscover her roots. After returning to the U.S., Lee began writing her first book while working on such shows as In Living Color, Saved By The Bell, and the Martin Lawrence Show. 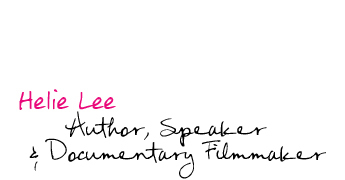 As a bestselling author, Lee has been featured on Nightline, CNN, the Associated Press, NBC Nightly News, NPR, The Los Angeles Times, Chicago Tribune, People Magazine, Life & Times, Today Show, and Oprah. She has spoken as a guest lecturer at Stanford, Yale, Harvard, Princeton, Northeastern University, Amherst, the Korean American Coalition, KASCON, The Museum of Tolerance, and many other venues. Lee has also been published in Mademoiselle, Essence, and KoreAm Journal. Lee lectures around the country on her bicultural heritage and human rights issues for North Korea refugees. In June of 2002, Lee was invited by Senator Ted Kennedy to testify at the Senate Subcommittee Hearing on Immigration. Lee is the Co-Founder of The Korea Academy For Educators (KAFE), an honorary board member of the San Diego Asian American Film Festival, a board member of the U.S. Committee for Human Rights in North Korea, and a member of PEN, a community of writers defending freedom of expression and building a literary culture. 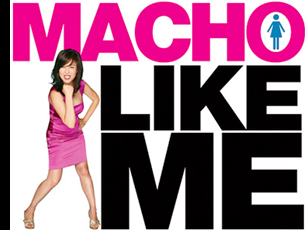 Lee’s current project Macho Like Me details her six-and-a-half month journey living life as a man. The one-woman performance piece, which weaves Lee’s monologue with interactive documentary footage, explores the dynamics of how society treats men and women differently. Macho Like Me has been adapted into a full-length documentary, which is now being entered into numerous film festivals.